Details: The largest monster that will ever be in Evolve. You can find more details about the Behemoth on Turtle Rock's website. Details: You can find backstory and weapon/skill information for each of the new hunters on Turtle Rock's website. 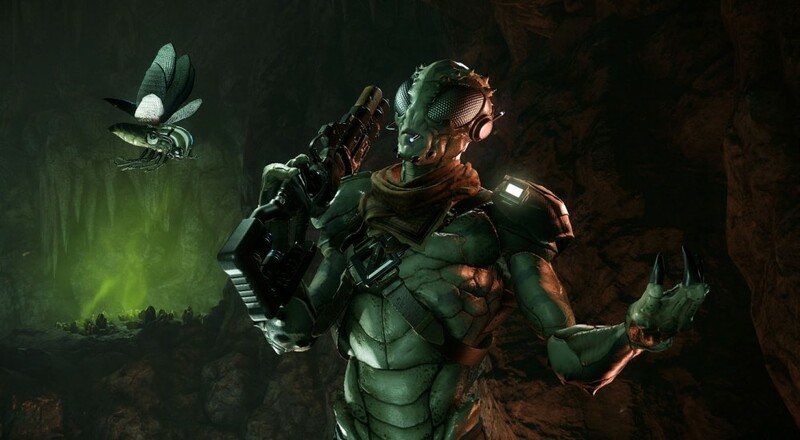 Details: Allows a sixth user to enter a custom game of Evolve as a spectator. This user can switch between the viewpoints of all five hunter and monster players. One important note about all of this DLC is that players that did not purchase any of the hunter or monster DLC can still player alongside or against the new hunters and Behemoth. So no worries about splitting the community up. Evolve is out now on PC, Xbox One, and PS4 with 4-player online co-op. We gave it a 4.5 out of 5. So what do you guys think - are you planning on picking up any of the paid DLC? What do you think of the free DLC?